It was an uneventful summer afternoon in New York City when a quiet young girl and her mother cautiously walked into the agency. Their wide eyes and unsure demeanor certainly made them guilty of being from out of town. They were greeted by James Loughlin, John Babin and the late David Bosman, from Boss models New York. 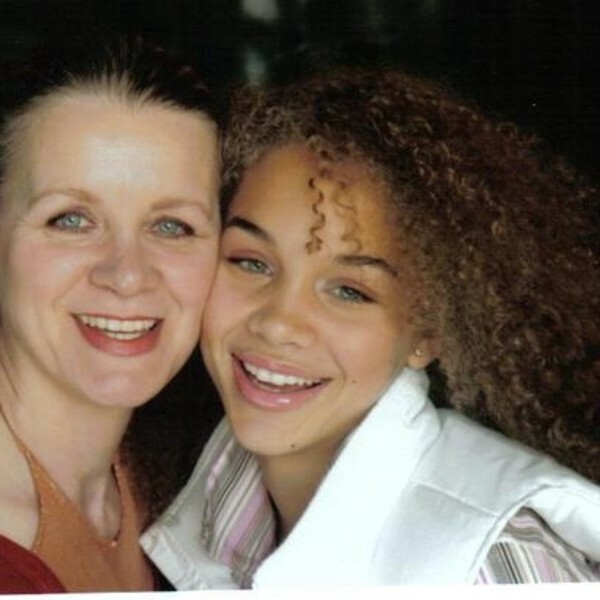 The young girl’s name was Jasmine Sanders. I was lucky enough to witness the very first time jasmine walked into the agency because, unlike the majority of the models represented, I was a native New Yorker who lived locally with a lot of time on my hands. So I spent a considerable time at the agency. Since that day, David Bosman held the South Carolina girl as a prized possession. He envisioned her career in a way that separated her from the rest of the female models in the agency. And though David wouldn’t admit to it, he was protective of her. Some of that protection came from Jasmine’s unique millennial look for sure — Mr. Bosman was fully aware of her potential bankability — but I’d like to believe the majority of Jasmine’s value was influenced by her mother. She remained a staple throughout Jasmine’s early career. And considering all the travel necessities Jasmine’s modeling jobs and castings demanded, not to mention , all business and financial management issues involved, was no small feat for her to maintain. How she was able to juggle these things while sustaining the family home and personal responsibilities never fails to impress me till this day. I remember thinking when I met Jasmine and her mom how cool it was for them to share the experience of coming to New York City for the first time. It was evident their relationship had the love and support other families only dream of. I guess this is why I enjoyed the conversations with Jasmine’s mom, they were honest and polite, yet filled with determination. I always envied her character because, unfortunately, I never had much support from my parents in my own career, so I found the relationship between Jasmine and her mother powerful in its simplicity. Today, Jasmine Sanders exerts confidence in every facet of her profession, but this isn’t built from her popularity on social media or her resume as a model, on the contrary, the “Golden Barbie’s” foundation was well established before she became known, before she even came to New York. Confidence can be a fickle thing for some people. There are thin lines between narcissism, arrogance, ego, conceitedness and confidence. Without the fundamental values instilled by her mother, without the living example of integrity and moral character, Jasmine may not have been able to sustain her modeling career in a consistent healthy fashion. And this where I’d like to acknowledge something critical: The role parents play in lives of their children’s careers should never be understated. We tend to think our parents only have value when it comes to personal matters; we may even compartmentalize our parents when we grow up. We convince ourselves they wouldn’t understand, or we anticipate their judgment for the choices we’ve made. But in doing so, we could be suppressing a wealth of interaction and results. I understand this isn’t applicable universally, but is it possible that profound perceptions and untold wisdom lie dormant behind a door of parental disconnection? Jasmine’s mom was a catalyst for her core values. She served as a blueprint for both Jasmine’s personal life and professional one, ultimately leading to her daughter’s success. If our parents represent our initial aspiration of moral character, we recognize a two sided coin for growth: A blueprint of the legacy our parents pass down and the opportunities we have to evolve that legacy. I’m not talking about expectation, I’m talking about empowering our families and sacrificing for them; this is about allowing love to influence the way we respond. But we need to recognize how powerful and lasting implementing these ideals are. Only then will we understand we are cultivating the appropriate balance for healthy living and success. It’ll be exciting to see how Jasmine’s career unfolds, either way, I’m confident she’ll be met with success in whatever she does…especially with her mother by her side.